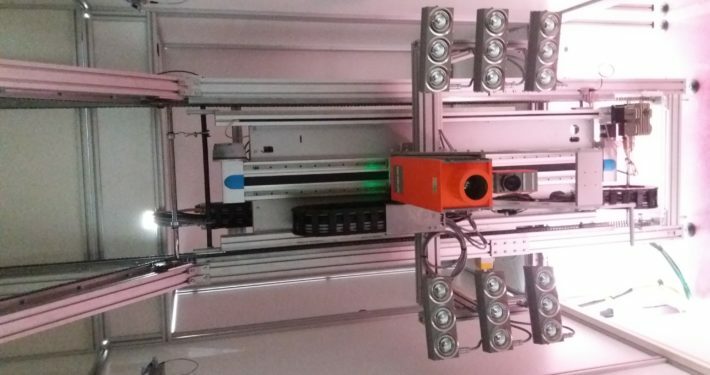 The WIWAM team installed a phenotyping system, containing two 3D scanners, working simultaneously as a dual scan setup for the creation of accurate 3D point clouds of plant growing in a 550 square meter greenhouse. 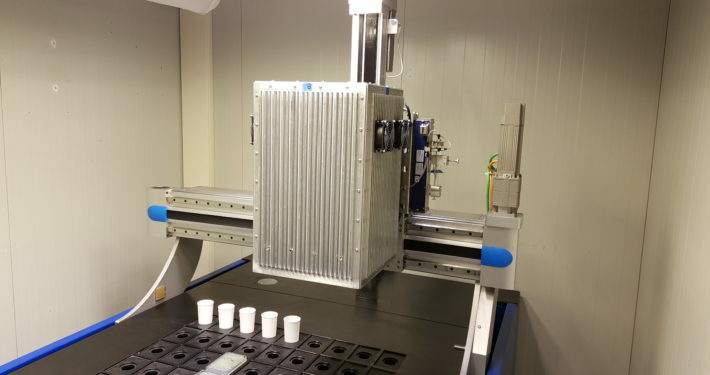 The system is used for the automated, non-destructive measurement of plants in a high-throughput manner, using a sensor-to-plant approach. As it was not allowed to have fixation in the floor, a hanging beam portal robot was designed. A single piece, 10.2m long aluminum truss construction was installed on the 6th floor, where positioning of the camera systems is controlled by a servo driven XY system. 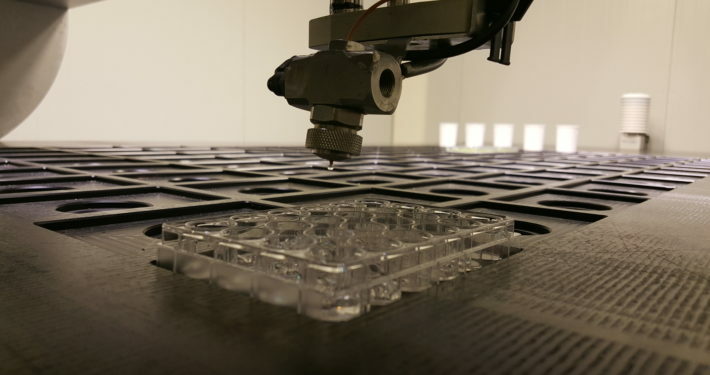 Upon request of the client, third party software was integrated into the functionality of the phenotyping platform. 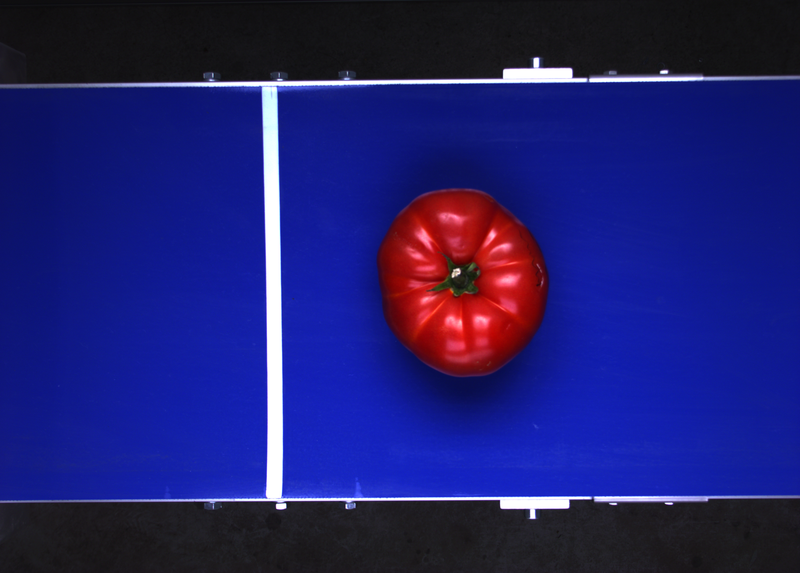 A custom-made WIWAM platform was built for the phenotyping of individual fruits, like tomato, cucumber, and pepper. A new batch of fruits is initialized by the scanning of the code and selection of the fruit type. 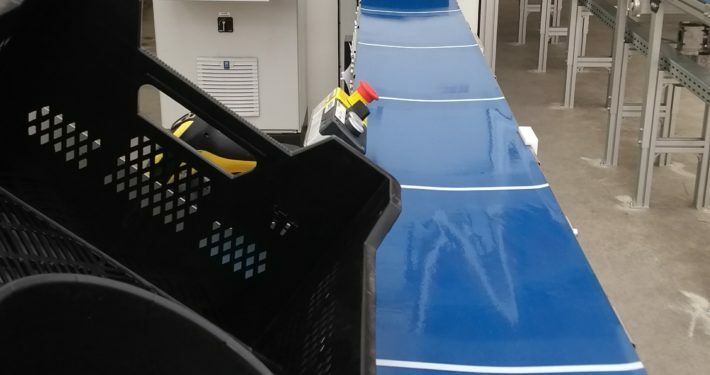 Afterwards, the operator can position the fruits one-by one on a running conveyor belt. 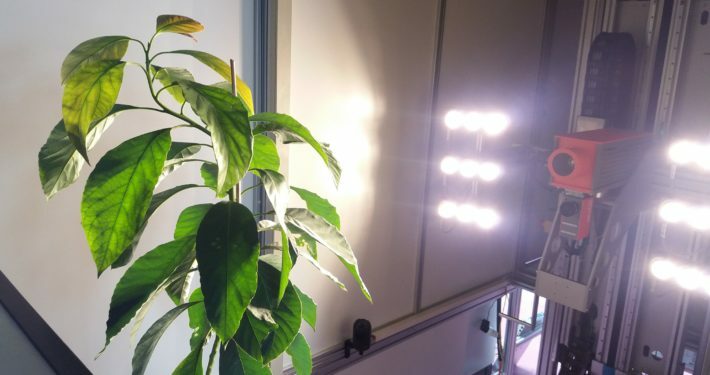 In a first step the fruits are transported to an imaging cabin with dedicated lighting, where top-view and side-view RGB cameras are triggered automatically. Afterwards, the weight of individual fruits is recorded on the fly. At the end of the conveyor the fruits are being collected or can be dumped in a container. 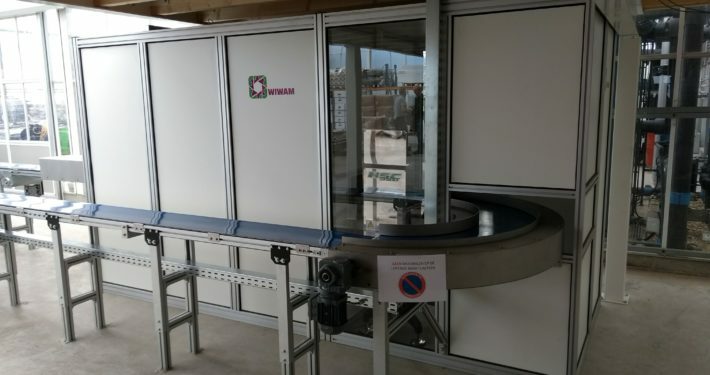 This system allows the accurate phenotyping of several hundreds of fruits in less than an hour. The PIPPA software manages the phenotypic data and integrates the analysis of color, shape and size characteristics. The project comprised the installation of a modified WIWAM XY system. The platform is build as a sensor-to-plant system housing a chlorophyll fluorescence camera. The multi-functional table can contain both small plants up to 20 cm and multi-well plates. 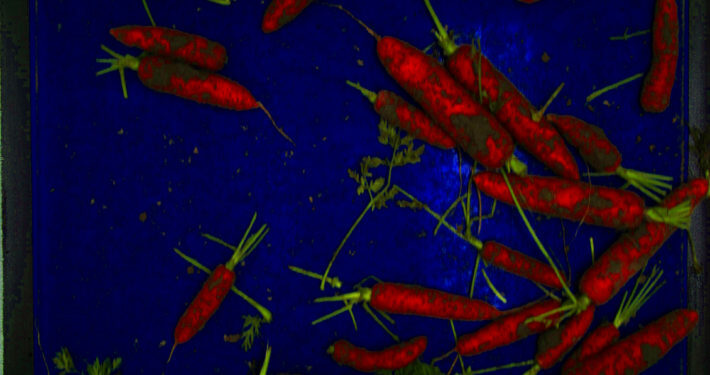 The high-resolution camera system enables RGB imaging and the standard photosynthetic measurements, combined with spectral measurements of chlorophyll and anthocyanin content. Also GFP and RFP singal can be visualized. Images can be acquired both at the level of an entire plant (where the camera positioning follows the plant’s growth curve) and at the level of individual wells. 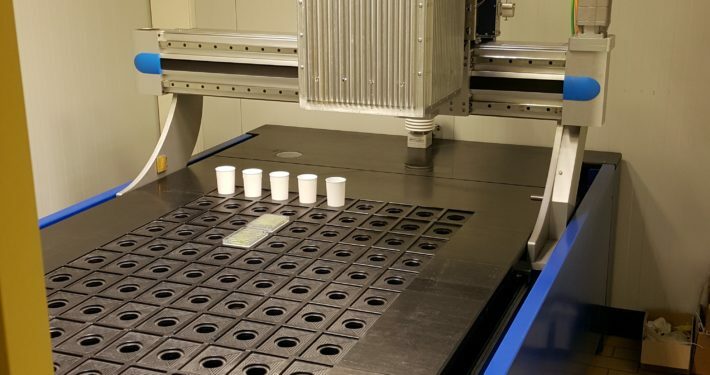 The platform also has a specified watering station on board that allows for the irrigation of plants in pots, dispensing of very low amounts of solution in the multi-well plates (uL range), and vaporizing liquids into individual wells. 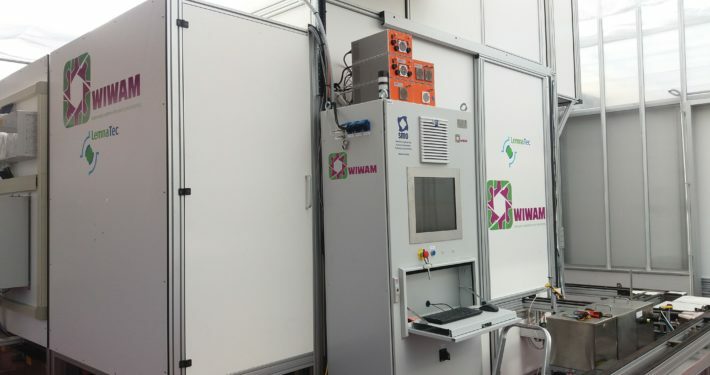 After an upgrade of the temperature and humidity techniques in the growth room, the WIWAM system takes care of both the control and logging of environmental conditions during the experiment. Also dedicated illumination with modulated spectrum (6 channels) was provided. The WIWAM software manages different user-defined day-light profiles. 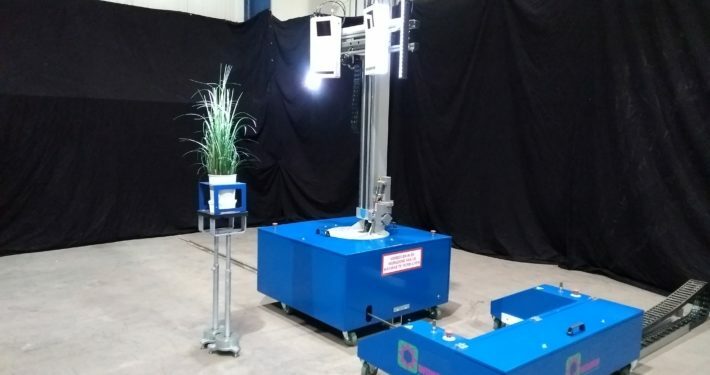 A custom-made sensor-to-plant system was designed and built for the phenotyping of large plants growing along a wire. 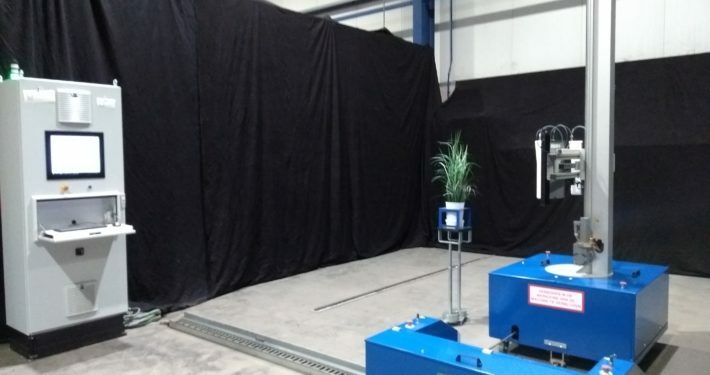 The setup consists of a wagon, moving perpendicular to the direction of the plant lines, combined with a smaller, dockable wagon, moving in between two lines of plants. 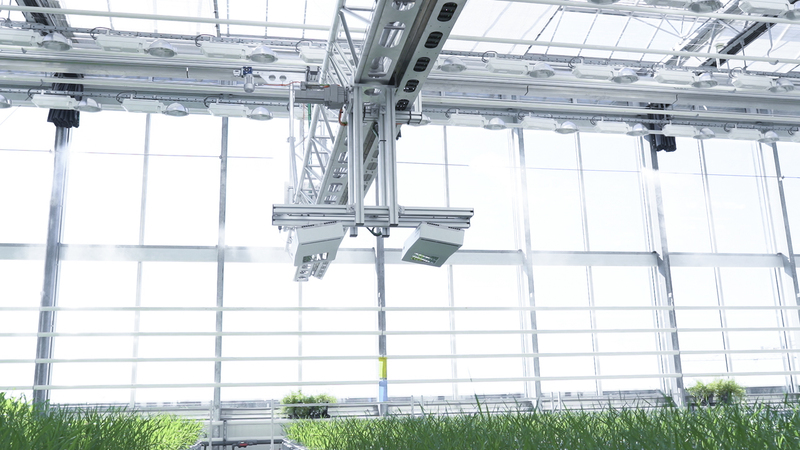 The dockable wagon carries a high-end RGB camera, with dedicated illumination, and two 3D scanners, working simultaneously as a dual scan setup for the creation of accurate 3D point clouds of the plants. 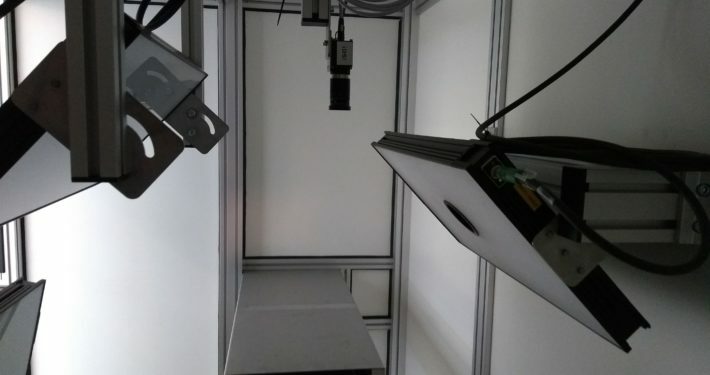 These camera systems are mounted on a vertical scanning axis of 2.5 meters. This entire axis can also rotate 180 degrees to allow imaging of plants from both sides. There is wireless communication between the main computer and the dockable wagon and also the image data is transferred over wifi. Imaging treatments can be programmed in a flexible manner where several parameters like timing, scanning height, and imaging side can be specified. 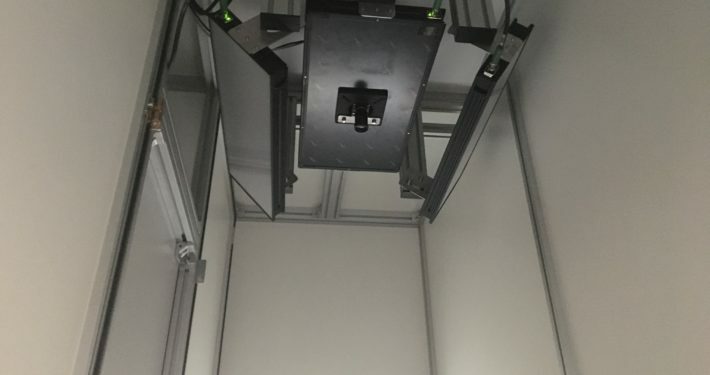 At The Plant Accelarator – University of Adelaide we converted an imaging cabin in an existing conveyor platform of a competitor into a WIWAM hyperspectral imaging system, comprising a VNIR and SWIR camera. 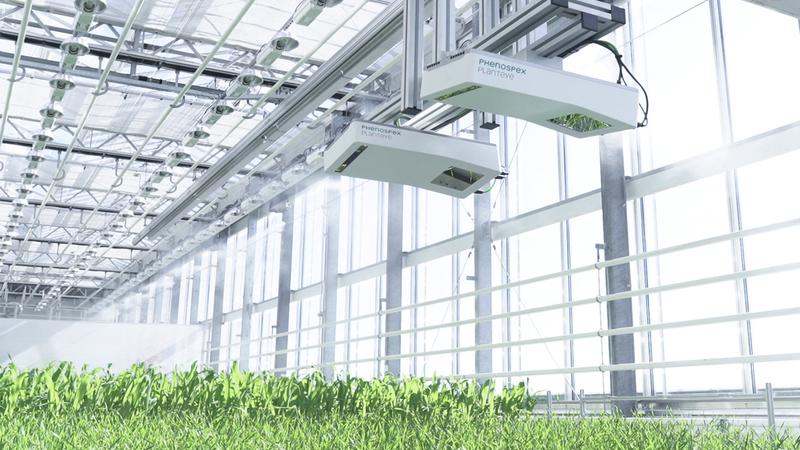 The system is working fully independent and has bi-directional communication with the conveyor platform for status updates and the transfer of plant metadata. The push broom cameras are mounted on a linear scanning axis together with the illumination modules. 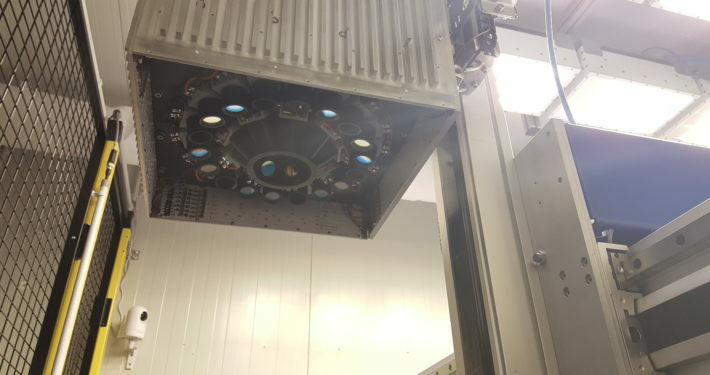 In turn, this scanning axis is mounted on a motorized, chain driven pivoting system to move the cameras between a horizontal and vertical position, allowing the system for both top-view and side-view hyperspectral imaging of plants with only one set of cameras. Also the possible future integration of a 3D scanner on the same axis has already been taken up into the design. 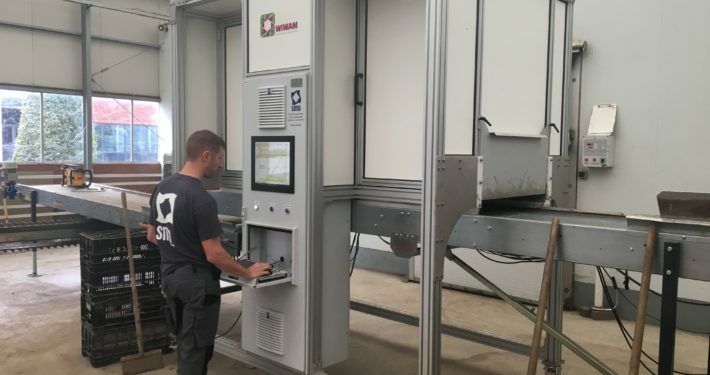 For the phenotyping of batches of harvested field vegetables a custom-made WIWAM imaging box was developed. The imaging box can be moved over an existing conveyor belt and contains a top-view RGB camera and dedicated illumination. A the start of a phenotyping session a batch is initiated by the scanning of a data matrix. Next, vegetables are dumped in batch onto the running conveyor belt and the camera is triggered at regular time intervals. The pictures are being stitched together into a single image to cover the entire batch. This will allow to quantify the amount of vegetables in a batch and measure shape characteristics of individual vegetables in a next stage.